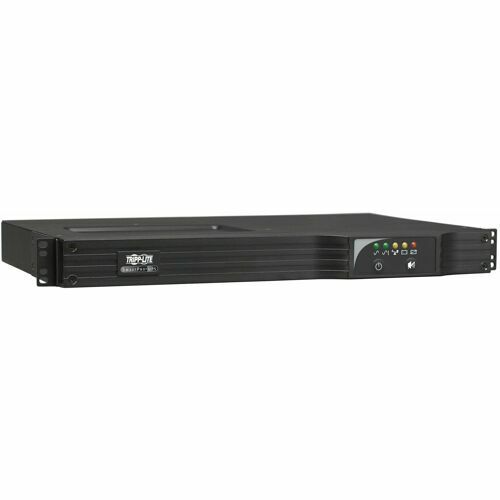 Tripp Lite SM1000RM1UTAA 1000VA / 1kVA / 800 watt line interactive, sine wave UPS system offers complete power protection for critical network applications in a highly efficient 1U total rack/tower configuration. Simultaneous-use network management interfaces include USB, RS-232 and optional SNMP/Web accessory card. 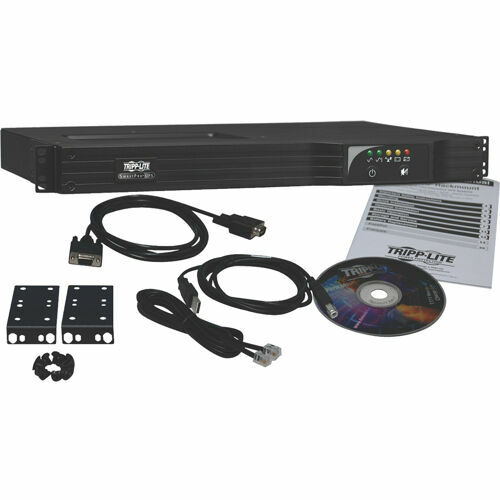 Line interactive voltage regulation, network-grade surge suppression and long-lasting sine wave AC output during blackouts make this UPS ideal for advanced networking applications in datacenters, computer rooms and network closets.